As Dragonfly PR is a public relations and digital marketing agency that specialises in the construction sector, we can help you make the most of your attendance at any exhibition – UK or globally. Here are our 10 top tips to make sure you get the most from an exhibition. Add a ‘News’ flash to your Home page. This is a simple way to let all visitors to your website know that you are going to be attending an important exhibition or trade event. It’s also worth letting your suppliers know you’ll be there with a personal invitation, because the more people you can get on your stand the better it will be - a busy stand encourages more visitors! Use relevant hashtags, which you can find on the organisers’ twitter feed. 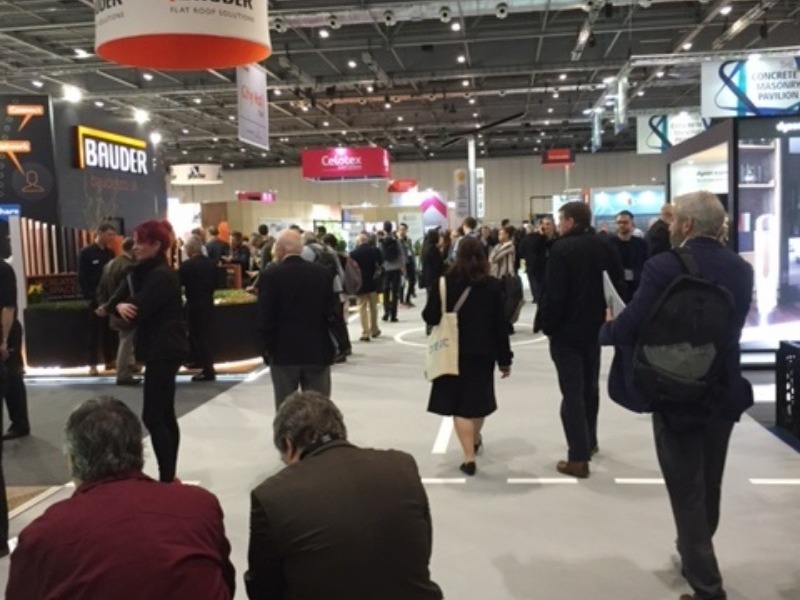 For example, if you are a building product manufacturer attending this year’s Ecobuild you ought to be tweeting directly at the show team (@Ecobuild_Now), and, if you do, they may share your tweet with all 30,500 of their followers, many of which are architects and specifiers. It’s also beneficial to use relevant hashtags such as #ecobuild, because it means your content is more likely to be found in any web searches. Plus, you ought to encourage customers to register by sending them a link via Twitter, it makes it easier for them to get involved and most specifiers now tweet regularly. After the exhibition, thank all the people who visited your stand with a message on Twitter. Even better, ask them for their Twitter address when you meet them at the show, and then send them a personal message – it’s a great way to pick up new followers, and means they can then receive regular updates via your Twitter feed. This is a great way to spread the word that you are attending a construction show and to highlight the new and innovative products that you will have on your stand. A timely newsletter is a great way to invite customers to visit your stand. You can also help by reminding them to register for the show. We regularly send out newsletters on behalf of clients to GDPR-approved databases. They are a highly effective method of communicating with existing customers and often a subtle reminder like this is all that is needed to make a significant increase in number of visitors to your stand. Blogs should be one of your top referring pages on your website. If they aren’t it’s because you’re not blogging regularly enough, or you’re not using the right keywords. Whichever it is we can identify the issue and make sure that you are using blogs to help specifiers find your building products. Topical industry comment blogs are a great way to be seen as an expert in the industry too. Press releases about your attendance at trade shows are a great way to inform a wider audience of existing and potential new customers that you are exhibiting. Send these to the show organisers, too, as they are often used in their pre-show publicity material, or you can ask it to be listed on the news section of their website. Major construction exhibitions often partner up with magazines in order to help them publicise the show. The magazines get something out of it because it means that every visitor to the show is presented with a copy – a great way to increase circulation. By identifying which magazines are being circulated at the show, and securing a 1-2 page article, which we have a track record of doing, can help to ensure that everyone knows you are at the event! This can be an effective way to secure post-show coverage, especially if you have a new or innovative building product that will make waves in the market. If you commission the services of a PR agency that specialises in the construction sector they will be able to organise these visits for you because they have contact with the relevant editors. Send the organisers tweets to post, including relevant hashtags as they can have many thousands of followers. For example, Ecobuild has 30,500 followers on twitter, so it’s definitely worth you (or your PR agency) asking them to post a message to their followers on your behalf. Once you’re at the exhibition, tweet about what’s happening on your stand in real time. It can be either about how busy you are or sharing tips and insights from inspirational speakers that attend the event. It’s a great way to remind visitors to the show who may be searching on Twitter that you will be there! Dragonfly PR specialises in the construction sector. We have a PR and digital media team that can revolutionise the results you get from attending a construction exhibition like Ecobuild, Grand Designs, FireEx, the RCI Show and UK Construction Week. To find out more, visit: www.dragonflypr.co.uk or call 01709 300130.